The former Navy facility is seen in the village of Corea in Gouldsboro recently. PORTLAND, Maine — A bill to study a new way to compensate electricity customers for the power they generate and return into the grid was vetoed by Gov. Paul LePage on Monday. The legislation, LD 1263, comes as uncertainty looms over just how long the state-level scheme for reimbursing small-scale solar and other renewables producers will last. Lawmakers will consider overriding LePage’s veto with a vote Tuesday. 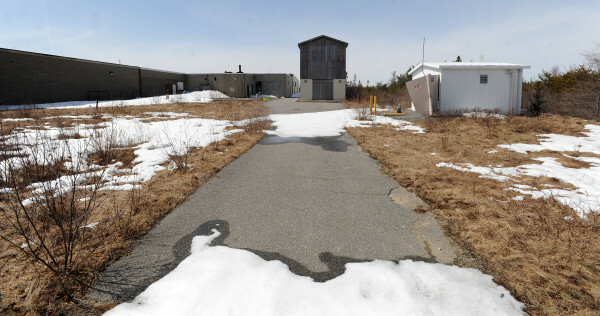 The bill originally sought to align the state’s solar incentive policies with Massachusetts, which developer Kim Kenway said would be required for him to move ahead on a $9 million solar array at a former Navy base in Corea. The project, which would be the state’s largest, is on hold, Kenway said. The state’s public advocate brought together environmental groups, utilities and the state’s solar industry to recast the original bill as a resolve to study an alternative to the practice of “net-metering,” which allows customers to get a credit on their bill for power they put back into the grid. LePage vetoed LD 1263 along with a group of other bills, not for their content, but for the process by which they landed on his desk. “This Legislature delayed its responsibilities for five months, negotiated a last-minute budget deal behind closed doors and is now passing bills at breakneck speed, just so they can pack up and go home for the summer,” LePage wrote in his veto message. The bill cleared the House by the two-thirds majority required to get over a veto, 101-32, with 18 lawmakers absent. The bill had uniform Democratic support, but for five absent members, and 27 Republicans in favor. It passed the Senate unanimously, without a roll-call vote. Dylan Voorhees, clean energy director of the Natural Resources Council of Maine, said that the initial bill faced an “uphill battle” politically, bringing his group on board with utilities and the Office of the Public Advocate, which produced a report earlier this year outlining a new method of reimbursing small-scale solar producers in the state. The report indicates other states have realized problems expanding net metering, putting more of the costs to deliver energy on the backs of other customers. The bill likely up for a vote Tuesday does not call for the state to adopt the program outlined in the public advocate’s report, but it likely would be a starting point for discussion — along with a study estimating how to place a dollar value on solar power — at the PUC. Tim Schneider, the public advocate, said all parties involved agree that power customers should be able to reduce their bill by generating their own power, but the question is how to make pricing more accurately reflect demand based on multiple conditions and not just a flat price based on retail rates. Voorhees said if the bill becomes law, there are still challenges to get all interested parties to agree on specific policy proposals through the study process at the Maine Public Utilities Commission. “I think that’s going to take a lot of work,” Voorhees said. But the conversation over the future of net metering in Maine is bound to happen, as the Maine Public Utilities Commission has the ability to re-evaluate the program once the capacity held by net-metering customers reaches 1 percent of annual power consumption for either Central Maine Power Co. or Emera. That limit could be hit as early as this summer, depending on installations reported to the utilities. Related to that discussion, Carroll said the company is interested in itself developing grid-scale solar projects of the type envisioned for the former Navy base in Corea, but state law prevents utilities from owning power generation assets. A bill proposed by the governor’s office that would have rolled back the restructuring of Maine’s electricity market, allowing utilities to own some generation assets, was carried over to the next session. Vaughan Woodruff, owner of solar installer Insource Renewables, said some of the solar installation industry came out in support of the bill for the study to “try and make sure we’re not left holding nothing” when it comes to state incentives. At the federal level, a 30 percent tax credit on projects is set to expire at the end of 2016, which Woodruff said stands to keep up demand for installations through next year, but it remains unclear what incentives for solar power will look like after that for installers in Maine.